Welcome to the international (English-speaking) blog of the Department of Computer Science at the University of Helsinki. Our blog invites views on research, education, student life, and other societal themes connected to our computer science fields. The intention is to build a forum as an open window for readers from inside and outside computer science. If you have any good ideas or articles to share on this blog, please feel free to contact us: cs-blog [ät] cs.helsinki.fi. This year the Department's Strategy seminar was organized from 1st to 2nd March 2012 in Hotel Haikko Manor near the city of Porvoo. Beautiful Haikko is known for a place of fabulous summer weddings, but it seems to be also a practical conference centre and a nice small spa. And so our two strategy days contained both working and relaxation. To work the strategy happened in eight groups with various themes. These groups discussed the situations of research and teaching, internationationalization, connections to education, working atmosphere, operations of adminstration, and so on. Outcomes put together to short presentations. All written reports will be published also in the Department's intranet. There are some hot topics that came up: We need more gifted PhD students and undergraduates who will bring about 55 credits per year. We should stop all kinds of separation and make small talk in the coffee room and corridors also in English. And what about the corridors, they are a little bit boring. We want more scientific posters on the walls and some nice indoor plants and sofas to brighten up our working days. The Strategy seminar seems to be also a right place for wild ideas such as to reborn the CS-teacher programme or to furnish the part-time teachers' room all over again. People in the Strategy seminar took part in designing of the Strategy 2020 for whole Department of Computer Science. We used the strategy maps of the Faculty and the University as a model and picked up some relative themes and issues: a funny play with colourful post-it notes even though the most of strategy goals were quite abstract and high-flown. In conclusion, our Department's goal in the following decade will be the best Department of our field in the Nordic countries. Maybe it is something more realistic than the Helsinki University's goal to be one of the top 50 universities in the whole world? When you put a couple of scientists in the same limited space you can be sure they are soon making some science. Haikko Manor owns a thing called a cold sauna, a room with temperature of -110°C. You can read more about this exciting experience and research project in the story by Jussi Kangasharju. After all, thanks to everyone who took part in the seminar, especially to our superb group of working premises and all magnificent stars of the dance floor! 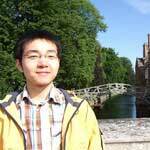 Aaron is doing his PhD in the NODES group at the CS department. His research focuses on mobile computing and energy efficient design for multi-interfaced mobile devices. Doris is a researcher at the CS department and HIIT, doing her PhD in the neuroinformatics research group. Her research interests include graphical models, causal discovery, and time series. Laura is doing her PhD at the CS department. 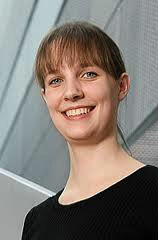 Her research interests include knowledge and link discovery, bioinformatics, and data mining. The Department of Computer Science at the University of Helsinki has a tradition of annual summer trip for all the staff members. This year, the TKTL staff members are invited to take a boat trip on J. L. Runeberg and spent a beautiful day in Porvoo. Recently I got my first, first authored journal article accepted to the Journal of Association for Information Science and Technology (JASIST for short). I thought of sharing what I learnt from the journal article writing process while my experience is still fresh. Some of the lessons might be specific to the JASIST journal. However, I generalized the details so that this article is useful to anyone. After conferring with senior professors P. Myllymäki and J. Paakki, we get some perspectives into the main issues at (or with) the department over the years. The discussions are based on the CS department Strategy Seminar of 2014. Since 2009 when I came to work at the department I have been involved with the Glanville fritillary genome project. In this blog post I will tell about my experiences in the project. On October 27th, Juhani, Lirim, Ashwin and I set forth to 3rd OpenStackFin User Group meetup. The event is a get-together for Openstack enthusiasts and experts in Finland. Its main goal is to gather like-minded people to share insights and experiences about OpenStack. The event was held in the evening at the restaurant Kaarle XII. Ashwin and I were first time aboard, while both Juhani and Lirim have attended the previous two meetups. So far the meetups have been organized once every six months. We arrived to the scene around four o’clock and there were already a few dozen people gathered to enjoy food, snacks and beverages. Interaction Lab is initiated and founded by Ubiquitous Interaction research group in 2014 for providing a space where novel interaction in between human, computer, and the physical environment can be developed and experimented. Computational creativity is a new and hot topic in computer science. This year I had a wonderful opportunity to participate in the International Conference for Computational Creativity (ICCC) at the Jozef Stefan Institute in Ljubljana and present my first academic paper for the Discovery Research Group. The great community and fascinating topics of the conference made me want to share the highlights of my first conference experience with all of you! The European Grid Infrastructure (EGI) is a federation of research organisations that provide computational resources and services to European researchers and their partners around the world. It consists of National Grid Initiatives, one of which is in Finland (http://fgi.csc.fi) and is managed by an organisation called EGI.eu. Our Kumpula club buddy program is recruiting new buddies! Have you ever been worried about you mobile phone's or tablet's energy consumption? Do you need to charge your device every night, perhaps even in the middle of the day? It is generally known that large screens and continuous network connections eat our phones' battery faster than we really want. Our goal in the Carat project is to survey and analyze what else could be going bad in our phones' matters. The national yearly Computer Science event (Tietojenkäsittelytieteen päivät) is the main event of the Finnish Society for Computer Science (TKTS). The society hands out two awards every year, the best MSc thesis of the year, and the best PhD thesis, which is awarded by The Finnish Information Processing Association, FIPA (TTL in Finnish). This year the PhD thesis award was granted to Jouni Siren from our department, for his thesis "Compressed Full-Text Indexes for Highly Repetitive Collections". Congratulations, Jouni! Question 1: What's your role in the union? Please introduce yourself and if possible, the current status at department. I am a university instructor at the department. In addition to giving courses and guiding thesis a lot of my work at the department is related to guiding study planning of Networking and Services students. I also coordinate the international master's studies at the whole department. I have been one of the shop stewards at the university for several years. In early March, the Department of Computer Science and Innofactor organized a week-long Windows Azure CodeCamp for students. The course was held 1-11.3.2013, during which the students were asked to produce small-scale applications utilizing the Windows Azure platform - Microsoft's cloud computing platform for building, deploying and managing applications and services, like Amazon's AWS or the Google App Engine. Dear readers, this is the second interview of our TKTL group leader series. The goal is to provide an open forum for group leaders to present their latest research development, activities in teaching, project work opportunities, and general comments about our department. This time, we interviewed Prof. Giulio Jaccuci, who is leading the Ubiquitous Interaction (UiX) group. Prof. Jussi Kangasharju started a blog to chronicle his sabbatical year - first 5 months in Korea, then 5 months in the Bay Area in the US. He comments, "It is partly intended to show people in our department that going abroad is not a scary thing." We repost here his latest blog entry about the winter experience in Korea. For further interesting stories, check out his blog. This has been a busy year for the networking and services specialization line and the NODES research community at the Department. We have made the headlines from rooftop greenhouses to energy-optimising mobile apps and squeeze-based smartphones. We should not forget the best paper awards and other mentions either. We did well in the university research assessment exercise as well. We have also strengthened the industry connections and the recent Internet of Things (IoT) research program is one example of this. At the end of November 2012, the department of computer science threw its Christmas party in "Berghyddan", an old building in the area where Helsinki was originally founded. In this month's NODES Pizza Seminar, postdoctoral researcher Suzan Bayhan from HIIT gave a presentation about "Energy Efficiency in Cognitive Radio Networks". In brief, a cognitive radio node is capable of changing its communication frequency in order to better take advantage of underutilized parts of the radio spectrum. On September 17th, the well-being group and the department invited our international staff for a casual coffee break for the start of the new semester. On a beautiful summer day, our department invited staff members to the idyllic located villages of Billnäs and Fiskars, which is about 80 km west of Helsinki, famous for their long tradition of iron works. This article is mainly me venting my frustration, since over the past year or so, I've noticed that the laziness and general lack of effort have reached completely unexplored peaks. Although this article is only my personal opinion, in the discussions with many other teachers in the department, I've heard very similar experiences on their part as well. For two years, my group has conducted research on data center cooling optimizations, and as part of that work, we have had computers out on the roof terrace of Exactum for over 2 years, in all sorts of enclosures. For a full recap of our research, please see Mikko's excellent blog (which also discusses washing of keyboards in a dishwasher). Dear readers, the interview series of TKTL group leaders is making its debut today! The goal of the series is to provide an open forum for research group leaders to present their latest research developments, activities in teaching, project work opportunities, and general comments about our department. Autumn school on Computational Creativity was held in Porvoo from 7th till 11th of November. It is interesting to note that it was a landmark in the field of computational creativity, as it was apparently the first "school" dedicated on this topic. Moreover, the lectures were given by the leading researchers in the respective field. In autumn 2010 a Finnish course was organized in Kumpula for the staff of the Computer Science Department. After one year, we are interested in how the attendees feel about the course and if there is a demand for organizing such a course again. Throughout my career the question of how to improve the internal communication and collaboration has been a topic at every institution I worked for. Here I present some of my thoughts on the topic, which are based on personal experience and discussions with several people. The new university year has just begun. It is an exciting time for our fresh Master's students as well as senior ones, both aiming at obtaining their MSc degree from the CS department. To provide an insight into the international part of the Master's students, we start from the recruitment statistics of new students, and then share with you five fascinating stories. Last October I headed to Ljubljana, Slovenia, for half a year's research visit. Sitting in the airplane I remembered colleagues and friends back in Helsinki wondering about my plan to take a Slovene course. Even though I would stay only six months I wanted to learn some Slovene, a language only 2 million people speak. In the early morning on April 26, Prof. Kangasharju, Tiina and I started our journey from Helsinki to Petrozavodsk. The whole journey was quite pleasant thanks to the sunny weather. After 12 hours, we reached our destination – Petrozavodsk, a quiet and lovely small town in western Russia. Even though it was not our first visit there, it was the first time we visited Petrozovadsk in spring. Everything looked so fresh and full of vigor compared with my memory of last winter. What do you expect from our department's blog? We consulted a few staff members and students what they expect from this blog. Welcome to the international (English speaking) blog of the Department of Computer Science at the University of Helsinki. Our blog invites views on research, education, student life, and other societal themes connected to our computer science fields.